With high density cushioning throughout the leg and foot, these men’s HJ Hall ProTrek Challenger Merino Wool Technical Heavy Weight Socks are designed to deliver full calf-to-toe protection while you take on all kinds of outdoor pursuits. 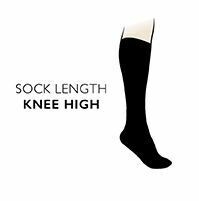 These longer-leg socks have excellent thermal abilities, due in part to the soft Merino wool used. Merino’s natural breathability, antibacterial properties is enhanced by TriSeal, a specially designed treatment providing water and stain resistance for woollen socks. HJ Hall ProTrek Challenger Merino Wool Technical Heavy Weight Socks have high density cushioning throughout, arch support bands, a double comfort top and hand linked toes for smooth seams to avoid irritation and chafing.